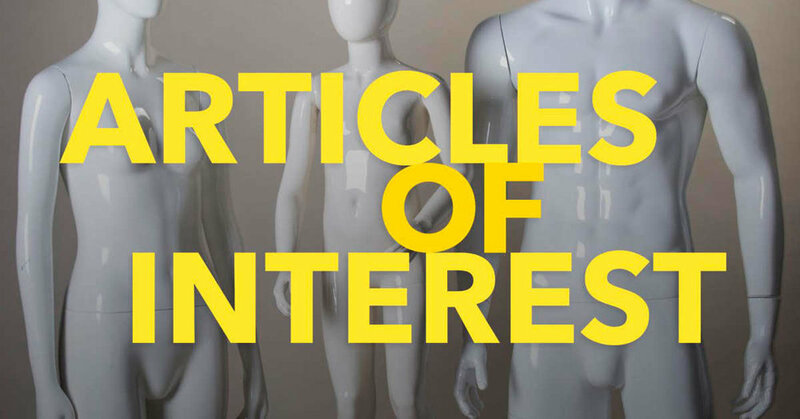 Created by Avery Trufelman, Articles of Interest is a project of 99% Invisible. It covers a broad range of concepts including the rise of casual wear, the environmental impact of the textile industry and why womenswear doesn’t have pockets. Together, the episodes link thematically, each one to the next, like a daisy chain. Think of it as a podcast concept album … on clothes. Avery Trufelman has been making stories about design at 99% Invisible for the past five years. She’s covered everything from garbage trucks in Taipei to swimming pools in Helsinki to art schools in Havana. She can also be heard on podcasts like Planet Money, Kamau Right Now, and The Allusionist, and is the voice of SFMoMA’s architecture audio tour. She has given talks about design and audio all over the country and was dubbed one of KQED’s “Women to Watch” in 2017. She has served as a judge for the 2017 British Podcast Awards, and the 2018 Miller Prize, and was the 2017 Roman Witt Visiting Artist at the Penny Stamps School of Art & Design at University of Michigan. Make a one time donation now or become a sustaining, monthly contributor. Donations are tax-deductible. Learn why savvy marketers are including podcast sponsorship in their marketing mix.